Global banks are likely to loose up to 400 billion dollars stemming from mortgage investments that have soured in the US housing slump, according to an industry report. Major banks will have to continue to write off stricken multibillion investments in mortgage backed securities. 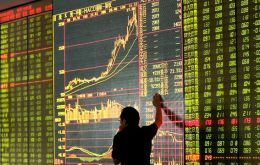 China's oil corporation PetroChina became on Monday the world's biggest firm by market value on its first day of trading in Shanghai. She displaced US corporation Exxon Mobil. Spanish Oil Company Repsol YPF announced Wednesday the sale of a chain of 206 service stations in Chile to Colombian company Organizacion Terpel for 210 million US dollars. Repsol said the sale was part of the restructuring of its Latin American assets.The sale also includes the industrial sales business including its infrastructure. Repsol plans to focus on its core business said Madrid's El País. Canada's Methanex Corportion blamed its poor performance during the third quarter to the serious natural gas restrictions from Argentina which means its main methanol plant in Punta Arenas is working at 25% of its potential. An Argentine corporation has joined a group of European and Japanese companies that are intent in turning Uruguay into a leading partner in the pulp and paper industry. Celulosa Argentina announced Wednesday it has plans to invest a billion US dollars to produce a million tons of pulp annually. The world's largest jetliner made aviation history Thursday, completing its first commercial flight from Singapore to Sydney with 455 passengers, some of them ensconced in luxury suites and double beds. 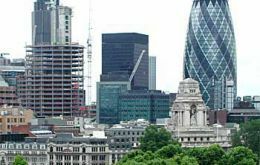 For the second year running London is Europe's top city in terms of prospects for economic growth in an overall outlook for European property which is described as good despite the credit crisis, according to the ninth European regional Economic Growth Index released Tuesday by LaSalle Investment Management. 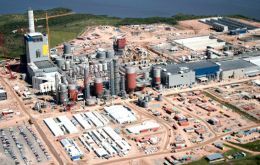 Portuguese pulp and paper maker Portucel will decide before the end of the year whether it will build a plant in Uruguay, government representatives announced. This would become the fourth pulp mill to be established in Uruguay. 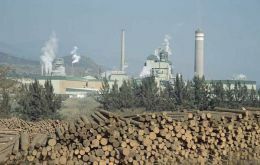 Uruguay announced Friday that the Botnia-Orion pulp mill, which has been at the heart of an ongoing bitter controversy with Argentina, is set to begin production in mid November conditioned to the finishing of a bicycle lane and an alternative water intake for the plant. Computer giant Microsoft is getting into the telephone business. 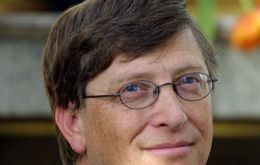 Chairman Bill Gates was in San Francisco for the official launch of software linking a person's phone, computer and other communications devices.